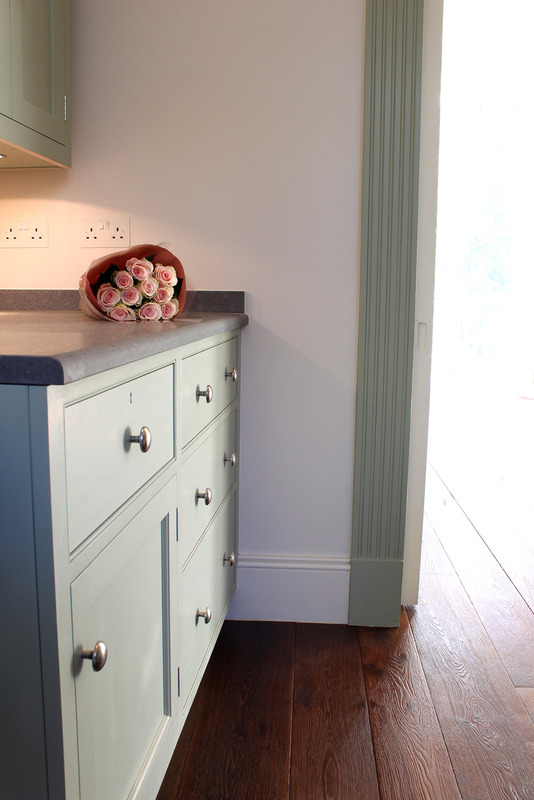 We make bespoke kitchens throughout Gloucestershire, individually designed to suit our customers and their space. Fashions come and go with kitchen design but a painted, in-frame design continues to be the most popular and enduring style that we are asked to create. Sometimes the frames have a bead moulding. On the outside we are aiming to make handmade kitchen furniture that fits into the room as though it really belongs there. 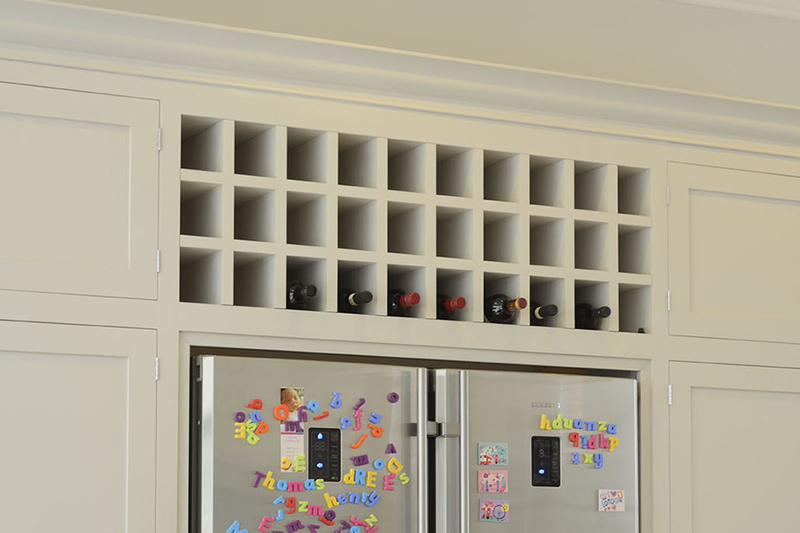 But we pay just as much attention to the interiors of the cupboard and how they are laid out. 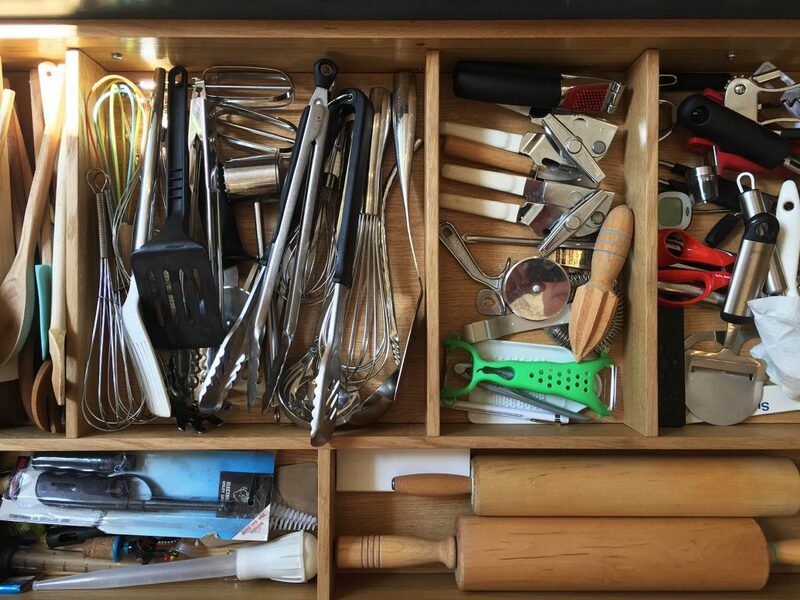 For example, we often make solid oak drawer dividers for cutlery and utensil drawers. 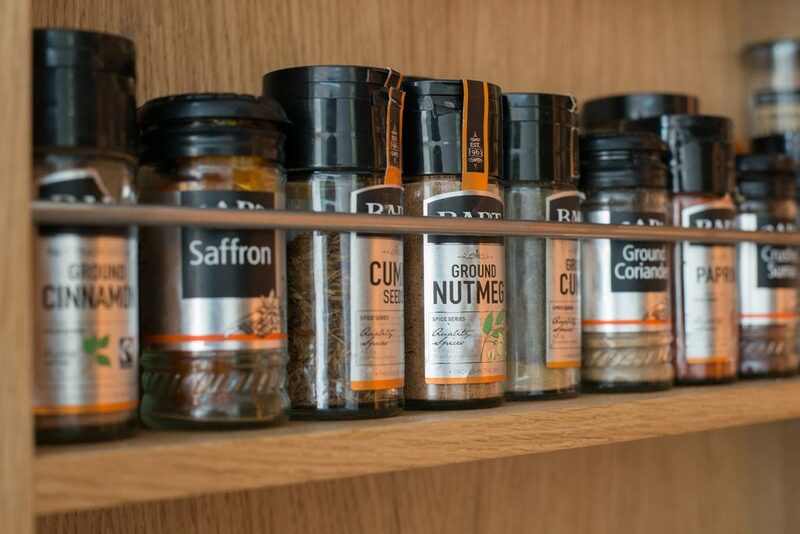 We also make dividers for herbs and spices. We make a huge number of drawers as they provide the most effective storage solution in many situations. The problem with deep cupboards is the difficulty of accessing items at the back. One way round this is to reduce the depth of the shelves inside the cupboard and to have some storage on the backs of doors. 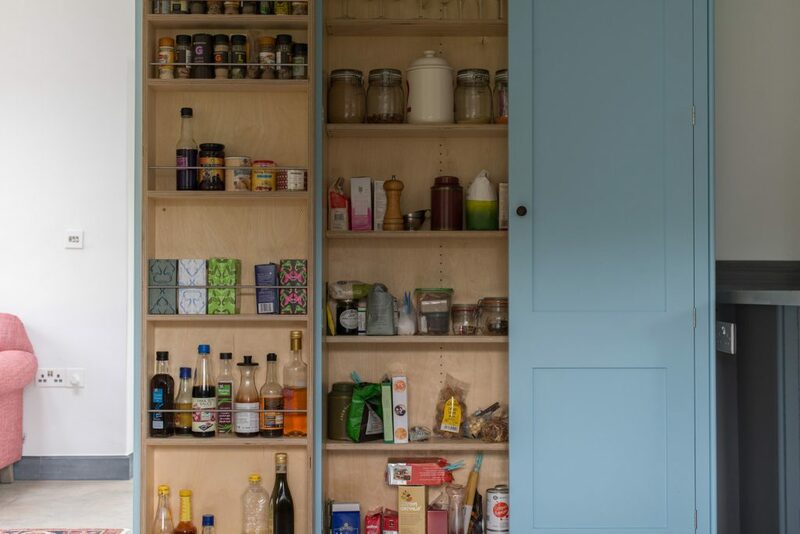 We often make larder compartments on the backs of doors made of solid oak- or whatever species of timber the interiors of the cupboards are made of- and we use slender stainless steel retaining rods at the front. The stainless steel rods are light and elegant and the oak offers warmth and substance. The advantage of choosing a bespoke kitchen is that the customer can have it laid out exactly as they want. Craigie Woodworks make and design bespoke kitchens throughout Gloucestershire. We have fitted various handmade kitchens in and around Cirencester, Cheltenham and Stow on-the-Wold but also work from Tetbury in South Gloucestershire to Chipping Camden in North Gloucestershire.